While some established textbooks rely on established but untested conventional wisdom, this book encourages students and professionals to think critically about their work and to adopt an evidence-based approach. It is the only introductory strength and conditioning textbook to properly explain the inter-dependence of aspects of training such as needs analysis, assessment, injury, competition level, athlete age and program design, and the only book to fully explain how those aspects should be integrated. 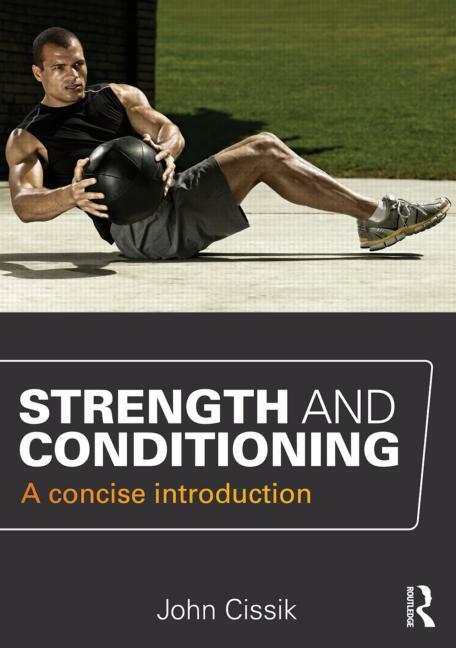 No other textbook offers such an accessible, engaging and reflective introduction to the theory and application of strength and conditioning programs. Including clear step-by-step guidance, suggestions for further reading, and detailed sport-specific examples, this is the perfect primer for any strength and conditioning course or for any professional trainer or coach looking to refresh their professional practice. John Cissik is the Director of Fitness and Recreation at Texas Woman's University and a human performance consultant to track and field programs. He has authored six books, produced four videos, and written more than 70 publications on strength and speed training. He also serves as an associate editor for the Strength and Conditioning Journal.